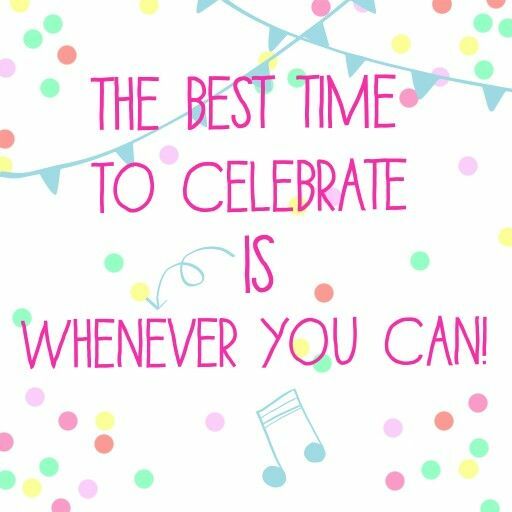 It’s not at all long until the weekend now…is that not a great reason to start celebrating?! I have two more great reasons. I have been nominated by not one, but two bloggers for a “3.2.1. Quote Me!” challenge on a very fun theme. The fabulous theme is: CELEBRATION OF LIFE! I have been a bit forlorn about Goldfinch leaving very soon, so I needed to find something to perk me up a little and put me in the mood to write about celebrating. Nothing quite like the muppets to bring on the party spirit! Well, here are my two quotes on the theme of: CELEBRATION OF LIFE!!! You never know what is around the corner. Life storms can develop at a moment’s notice. So make the most of sunny times in your life. Don’t wait for special occasions or holidays. Celebrate now, celebrate the moment. Think of all the reasons you have to be grateful. Make as many days as you can just a little bit special. Sprinkle wonderful around your family home, around your workplace and everywhere you go. Tribulation comes to everyone at some point, the good and the bad. So work hard and then enjoy the results of your hard work, celebrate! Adorn your life with beautiful experiences and memories. Enrich your life with delightful people. Make time for wonderful. Fill your life with stories you will enthusiastically tell others or eagerly write posts about on your blog-site! My life. I have had hard times to be sure. Do I want them to define me and dictate the course of my life? Nope! Do I want to be happy? Yep! 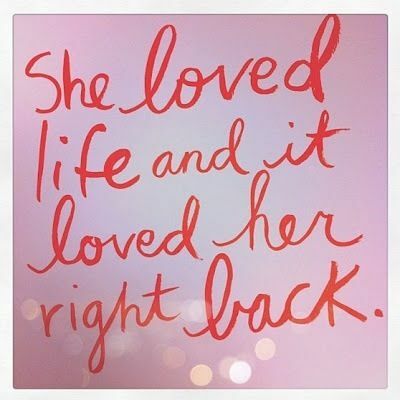 Have a full on determination to love life and enjoy it. Think about what you can do to contribute to life…give your all to making life wonderful both for you and others. Practice giving and people will give to you – in my case gloves and “posh” hand soap! When invited to a party, be one of the first up on the dance floor and be willing to dance with anyone there. You will always be on party lists because of what you bring to the party. Throw yourself into life, make life fun and enjoyable for those you spend time with. Now as this post is about celebrating, and I have introduced the party theme to it…I am going to share with you one of the songs that gets me straight up on the dance floor. There is so much wonderful – it would be a shame too miss out! Indeed. Enjoy life and be thankful. Yaaaaay! Christy – we would get the party going!!! Excellent Mel – a real bounty of celebration there – brilliant 🙂 Made my morning, thank you. I am sure you would be up on the dance floor with me Rory! I can dance pretty much anywhere! I even danced the can-can up on my French teacher’s desk when I went through a rebel stage at high school! Mel La Rebelle sounds quite chic Rory! What will my pops say? At some point I intend to introduce it to my family. Strange l am just this minute writing about you! I just realized…I completely forgot to nominate three more bloggers in my 321 Quote Me! Celebration of Life Mel Style! I’d be up there dancing. I love a boogie, particularly to MJ. I was counting on you! By the way – I am still upset about Derek! Have you read Teresa’s story in response to Rory’s detective game? Oh, I understand. I’m sorry for stealing Derek away 😉 But then he must have had very poor taste if he’d leave you for me. I was a rotter, wasn’t I? 😉 Lol. I was a vertically challenged red head with uncouth manners! Haha, well it was probably the uncouth manners that did it. Manner maketh the Man, and woman. 😉 In real life your manners are impeccable. I will tell my pops that you said – that will make him happy! this looks like great fun. I am so glad I am not on Fandango’s gift list! …I am shattered after work and I think I need to take myself to bed and wake up feeling all energized and alive tomorrow! Very nice post. Oh -Mel, la rebelle. Looove it! Hello fellow rebel friend.